If you’ve ever had your doubts that King Arthur was a real, living, breathing human being at some point, you’re not alone. Despite the many, many histories that “prove” that Arthur was definitely this or that – tenacious Briton, Roman military man, leader of hunky Sarmatians – the evidence is pretty thin. The debate around Arthur’s existence as a real king, believe it or not, is not exclusive to the modern era, or even the Arthur-obsessed Victorian era. As William Caxton’s preface to Malory’s Le Morte Darthur bears out, even in the fifteenth century, people could be found on both sides of the debate. In the preface to the 1485 CE edition (I’m using Stephen H.A. Shepherd’s Norton edition, here), Caxton remarks that “many noble and dyvers gentylmen” pushed for him to print a book of stories of King Arthur and the Holy Grail (although I’m with Shepherd, who suggests this unnamed group of people could easily have been a marketing ploy). He asserts that Arthur is one of the “9 Worthy” men who should be looked upon as an example for all. These nine worthy men, for the record, consist of three “pagans” (“paynyms”,), namely Hector, Alexander the Great, and Julius Caesar; three Jewish men, namely Joshua, King David, and Judas Maccabeus; and three Christians, those being Arthur, Charlemagne, and Godfrey of Bouillon. 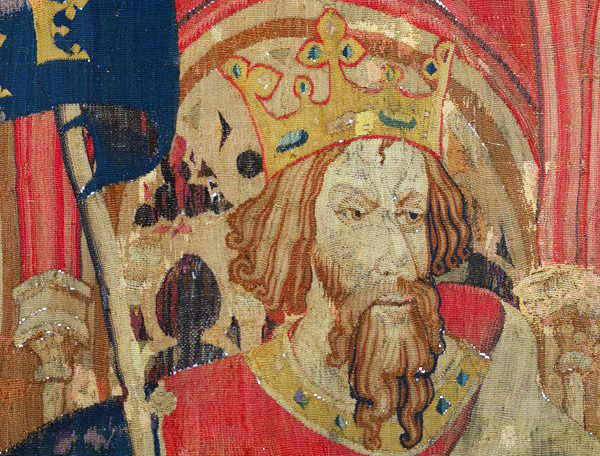 Caxton says that when he presented a book of the exploits of Godfrey to King Edward IV, Edward replied “instantly” that Caxton should print a book about King Arthur because not only was Arthur English (unlike the others in the list), but there was also lots of source material to work with. Caxton cagily phrases his argument so that he’s distant from the men who think the Arthurian tales are feigned – a safer position especially since a member of the court he’s addressing thinks doubting Arthur is “grete folye and blyndenesse” – and yet his declaration that Arthur cannot be found in some chronicles is a firm one. If we believe that these diverse men are actually diverse men (and not Caxton using the old red herring “a friend of mine”), it suggests a reading public who is not only interested in English history, but interested in accurate history that doesn’t include fictional kings. On the other side of the debate, taken up by men who were with Caxton and Edward during this exchange (with one particular man “in specyal” who remains maddeningly unknown), are some very familiar pieces of evidence that are still used today to prove Arthur’s existence: the tomb at Glastonbury Abbey, Geoffrey of Monmouth’s The History of the Kings of Britain, and the round table at Winchester. In addition, Caxton cites mentions of Arthur in the Polychronicon and in Bocaccio’s De Casibus Virorum Illustrium, as well as some well-known relics, including “the prynte of his seal in reed [red] waxe closed in beryll” (p.816), Gawain’s skull at Dover castle, and Lancelot’s sword – sadly, it doesn’t mention where. Caxton asserts, “al these thynges considered, there can no man reasonably gaynsaye but there was a kyng of thys lande named Arthur,” and it certainly looks as if the case has been reasonably made using both textual and physical proof. This, again, speaks to the interest people had in accuracy: they built their cases both for and against with care and all the evidence they could gather. Check out Daniele’s new book! Although he says he is convinced, Caxton doesn’t seem to let the subject rest easily. After listing a whole bunch of the wonderful sort of tales the reader is about to enjoy – as well as the caveat that not everyone in Malory’s tales behaves in a morally exemplary way – Caxton writes: “for to passe the tyme, thys book shal be plesaunte to rede in; but for to gyve fayth and byleve that al is trewe that is conteyned herin, ye be at your lyberté.” It seems that he just can’t allow Arthur’s story to be accepted blindly as truth, while not outright declaring it to be false, either. As someone who, by his own admission, had conversations with royalty, evidently Caxton could find the words to remain safely noncommittal with the best of them. I find it fascinating that over 530 years later, we are still debating the existence of King Arthur, largely using the same evidence Caxton used. It’s not surprising, really, as that’s all the evidence that seems to exist of the legendary hero whose stories so inspired and entertained the people of the Middle Ages. If you’re interested in learning more about the evidence for and against the existence of Arthur, have a look at Guy Halsall’s great book Worlds of Arthur: Facts and Fictions of the Dark Ages. If you’re interested in “feates of armes of chyvalrye, prowesse, hardynesse, humanyté, love, curtosye, and veray gentylnesse,” you’ll enjoy Sir Thomas Malory’s Le Morte Darthur, just as William Caxton’s readers did in 1485.